CSK all-rounder Dwayne Bravo bowled a brilliant last over, defending 12 off 6 deliveries that Royals needed to score to claim the win. Ben Stokes and Jofra Archer took the chase deep with their fiery 44-run stand but Dwayne Bravo bowled a brilliant last over, defending 12 runs that Royals needed to score to claim the win. Dhoni used his vast experience to read the conditions and mostly worked the ball around to keep the scoreboard ticking. Whenever he got the chance, he opened his arms and hit four fours and as many sixes. 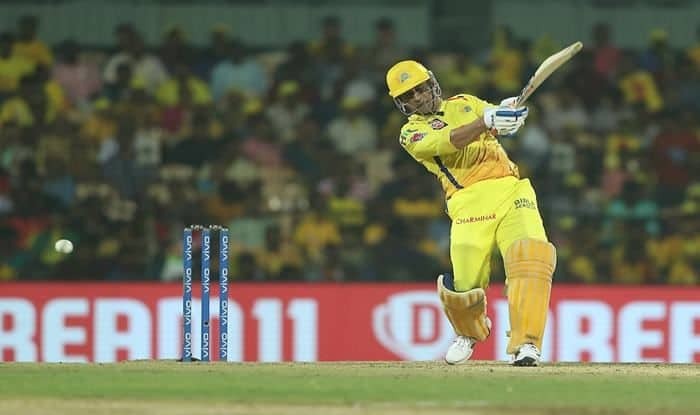 Dhoni and Suresh Raina (36) added 61 runs for the fourth wicket, pushing the ball around and later the former India skipper raised a 56-run stand with West Indies’ Dwayne Bravo, who added quick 27 runs. Stokes (46 off 26) was still at the crease when Royals needed 44 from last three overs. Stokes and Archer collected 19 runs from Braviovertakinging the equation to 25 from 12. The runs came in singles with spinners Shreyas Gopal and Krishnappa Gowtham maintaining the pressure with tight line and length. The ball stopped a bit, specially when Gopal operated, making stroke-making even more difficult. At half-way mark, CSK out on board just 55 runs and only seven boundaries were struck.